I’ve long held the belief that travel is the best kind of education. So when my friend Wes Priest, an English teacher at University High School in Indiana, told me that he was bringing a group of students to the Pacific Northwest with his colleague, art teacher Tasha Barger, I agreed to join them and give a few photography tips. 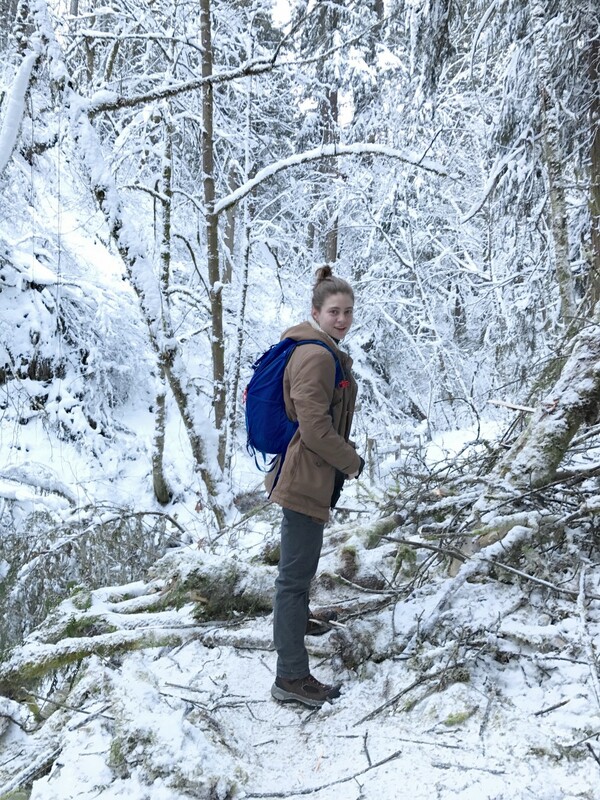 These 23 teenagers spent the first part of January studying the art, photography and literature of the Pacific Northwest with Wes, Tasha, and faculty member Maggie Beckman during their school’s January Term (J-Term). During J-Term, the students take a break from their normal studies to immerse themselves in a single subject that interests them. 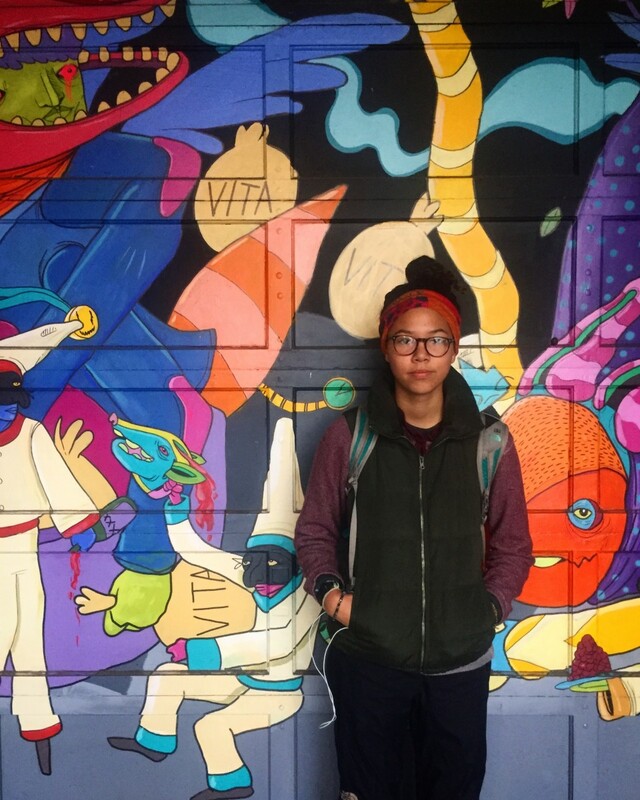 This interdisciplinary class culminated in a trip to Portland and Seattle. 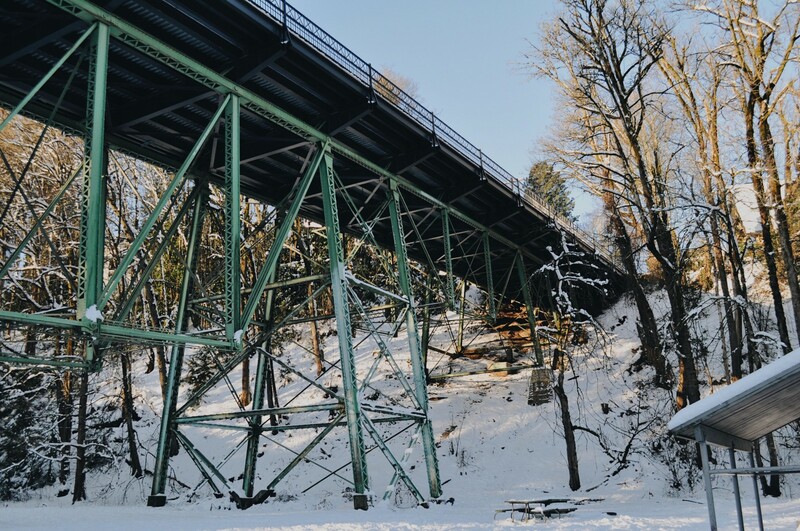 I met up with the group in Portland, Oregon while the city was still pretty much shut down after experiencing the biggest snowstorm in 20 years. 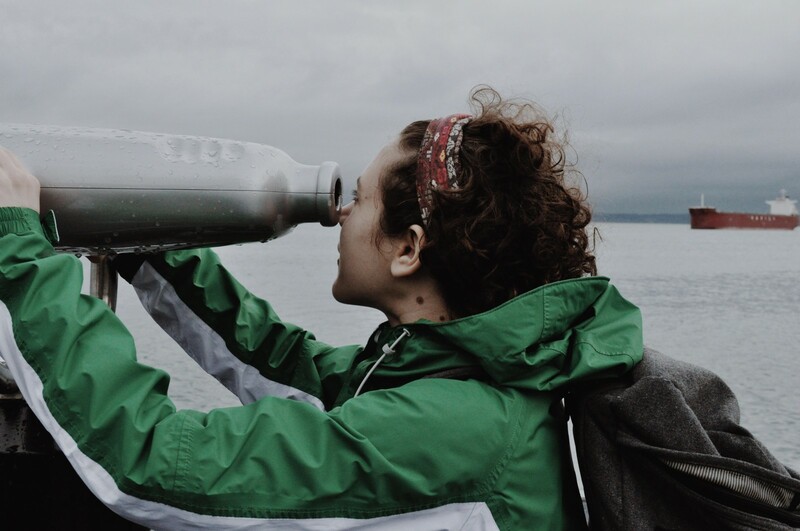 As a seasoned traveler, I know plans how often plans go awry and you need to embrace that. But I had no idea how a group of teenagers would handle it. Their upbeat attitudes and lack of complaints caught me off guard. It was refreshing. There really is nothing you can do about the weather and the students got to see Portland in a really unique way. Time lapse of the students working on zines in Portland. What a cool class. Spending time with this group taught me a lot of great things to do with teenagers in Portland. 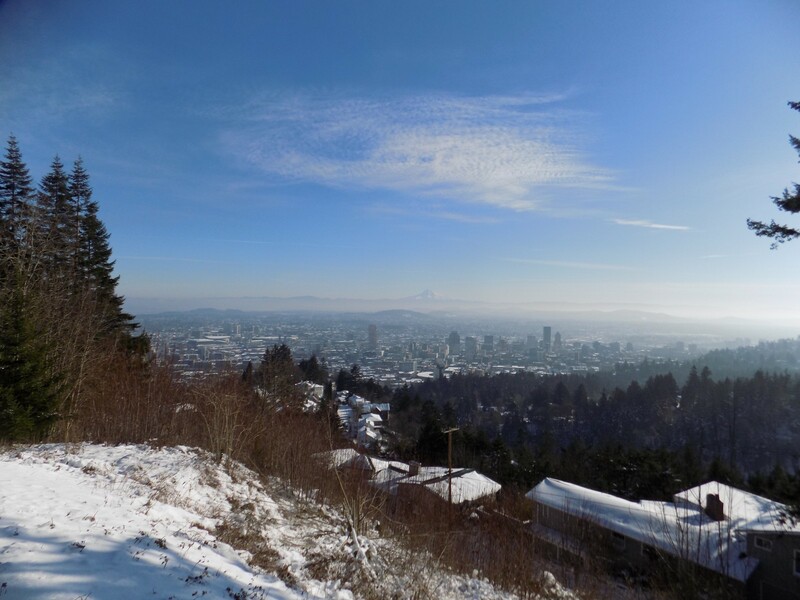 We hiked through snowy Forest Park to the Pittock Mansion to get a view of the city. 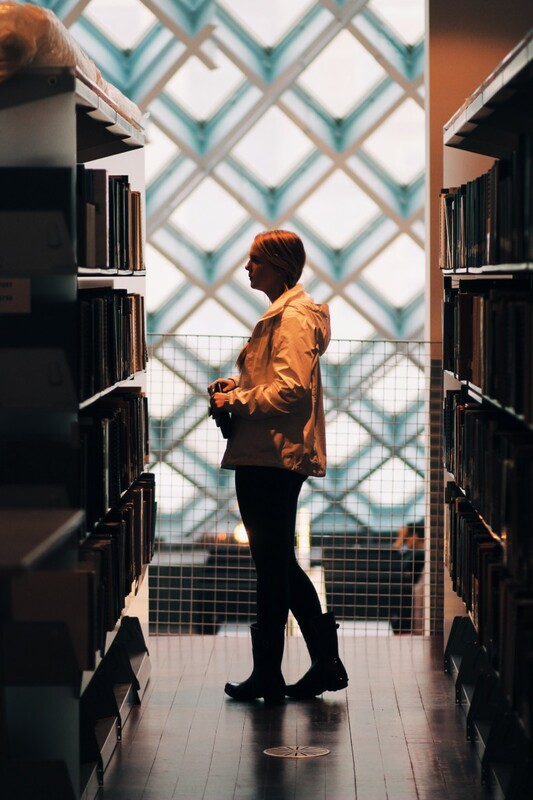 We hit legendary Portland institutions including Powell’s City of Books and Voodoo Donuts. I learned donuts are very popular with high school students. Top Pot Donuts in Seattle was also on the week’s agenda. 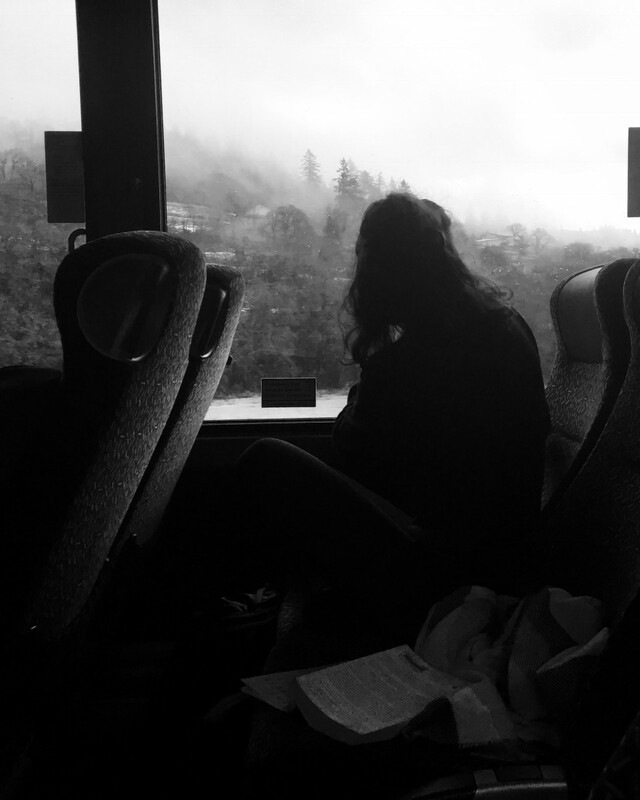 The students documented their trip with cameras and used photos and found items to create hand bound zines. It was fun to watch so many young creative minds get busy making art. Spending the week with this group of students was both exhausting and inspiring. 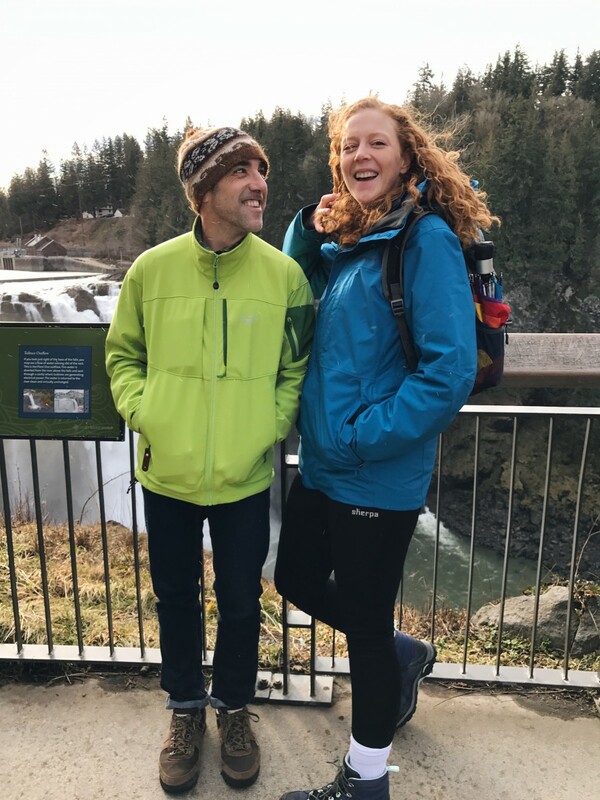 They appreciated both cities as well as the natural beauty of the Pacific Northwest and they reminded me of what it is like to have a youthful perspective. 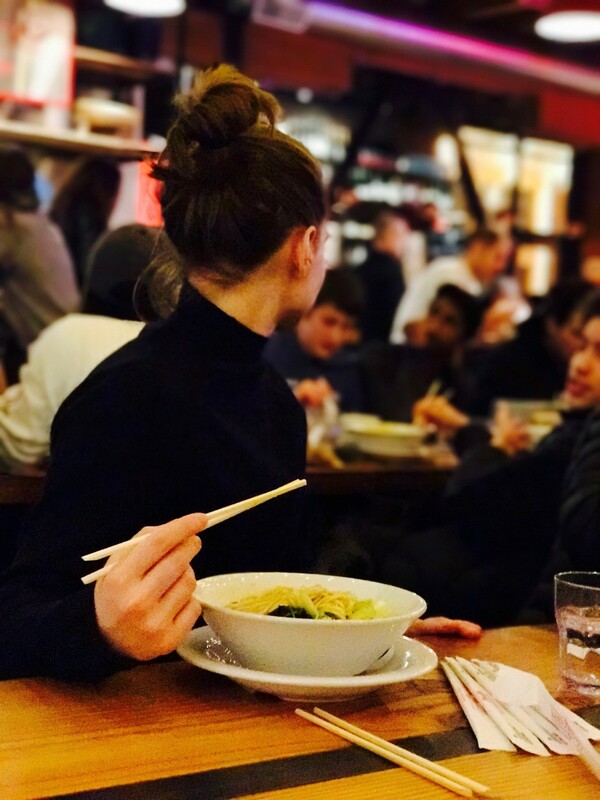 Eating Ramen at Pine Street Market was a big hit with this crew on a cold night in Portland. 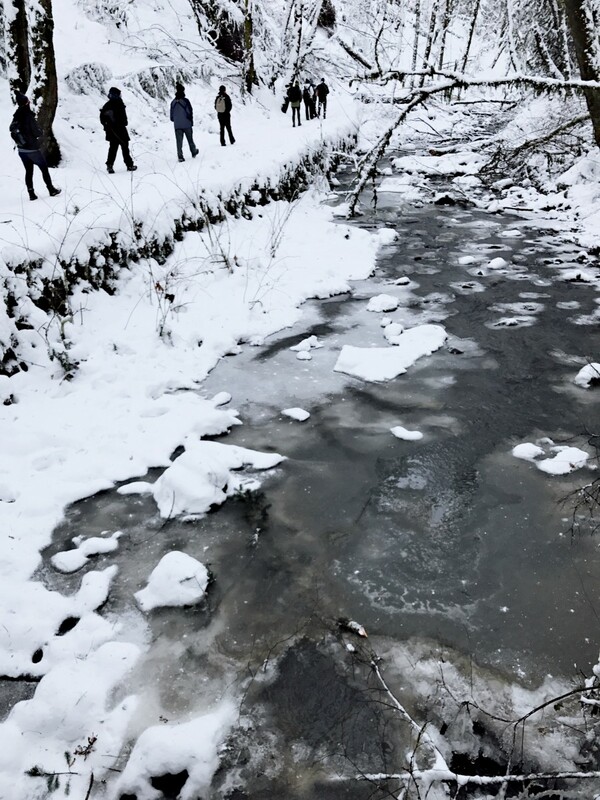 Watching the students document their trip made me want to include some of their photos and impressions on this blog. 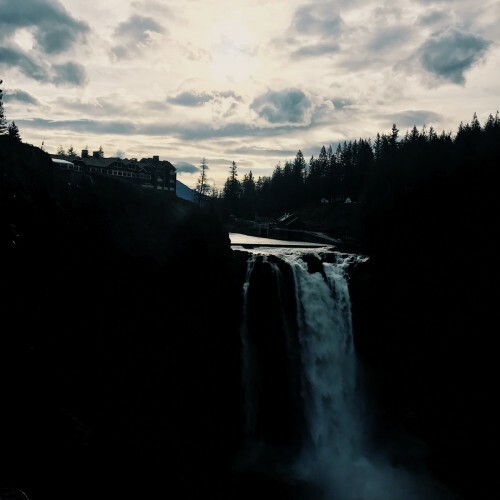 Featured below are some images the UHS students shot on their trip to the PNW and their own captions. 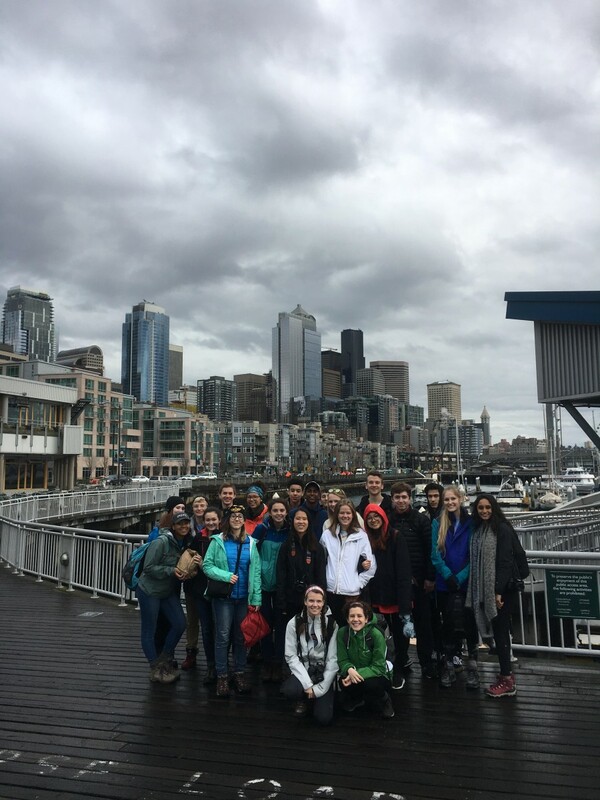 These students came prepared and learned the best way to handle the Pacific Northwest’s moody weather is by dressing correctly. 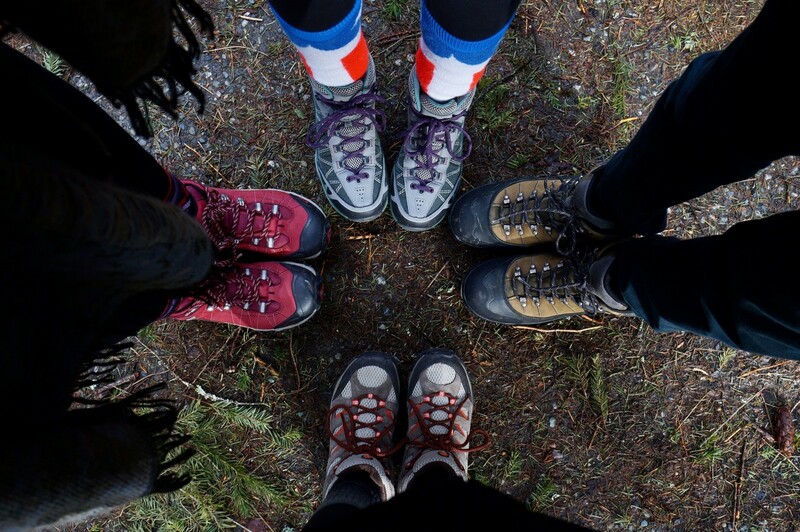 Every one of these students was wearing appropriate footwear. It made for a cute photo opportunity and I was excited that one of the students captured it. The students wandered through Portland, checking out local record stores, thrift shops, and the Portland Art Museum. 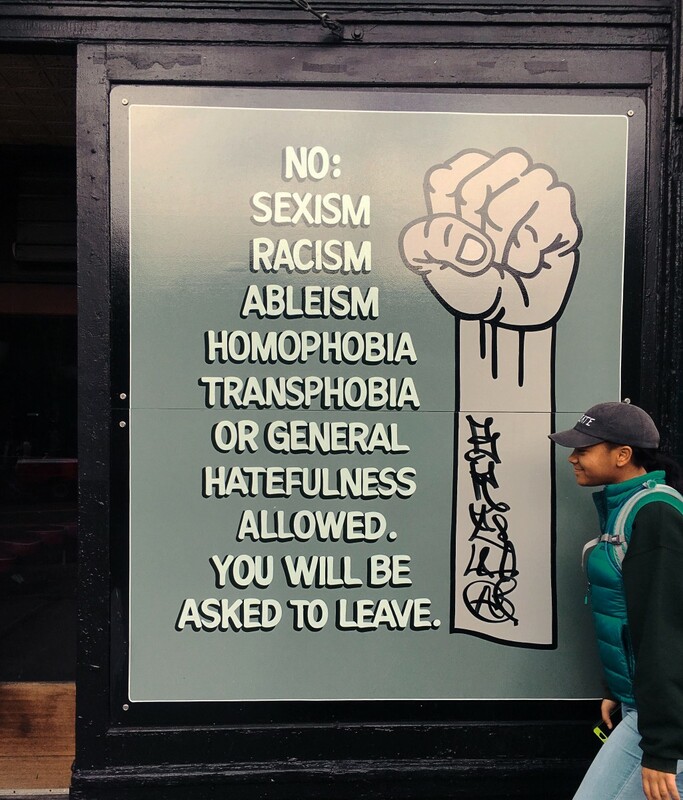 The students broke up into groups and explored different neighborhoods in Seattle, which prides itself on being progressive and a Sanctuary City. I wasn’t surprised the teenagers loved Pike Place Market and my personal favorite, MoPop (formerly known as the EMP). 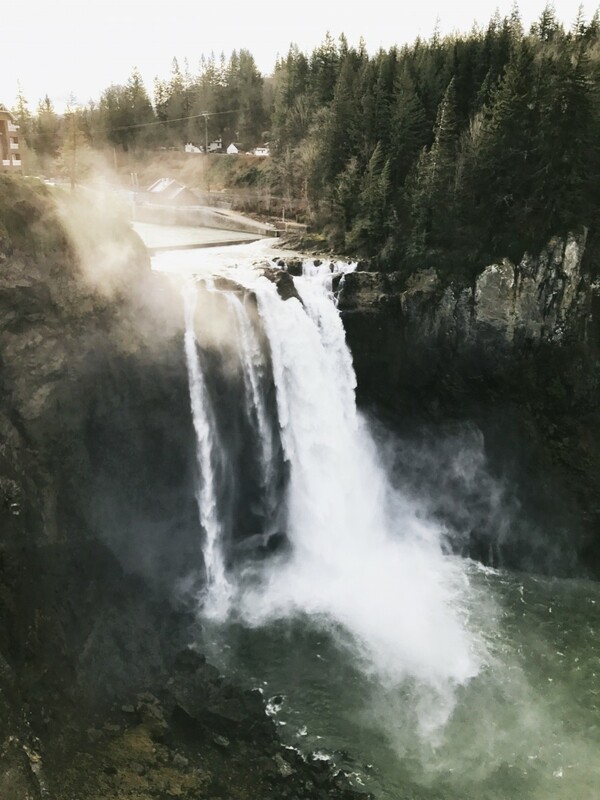 Seattle’s weather cooperated with us and the group got to visit Snoqualmie Falls and went for a great hike in Twin Falls. 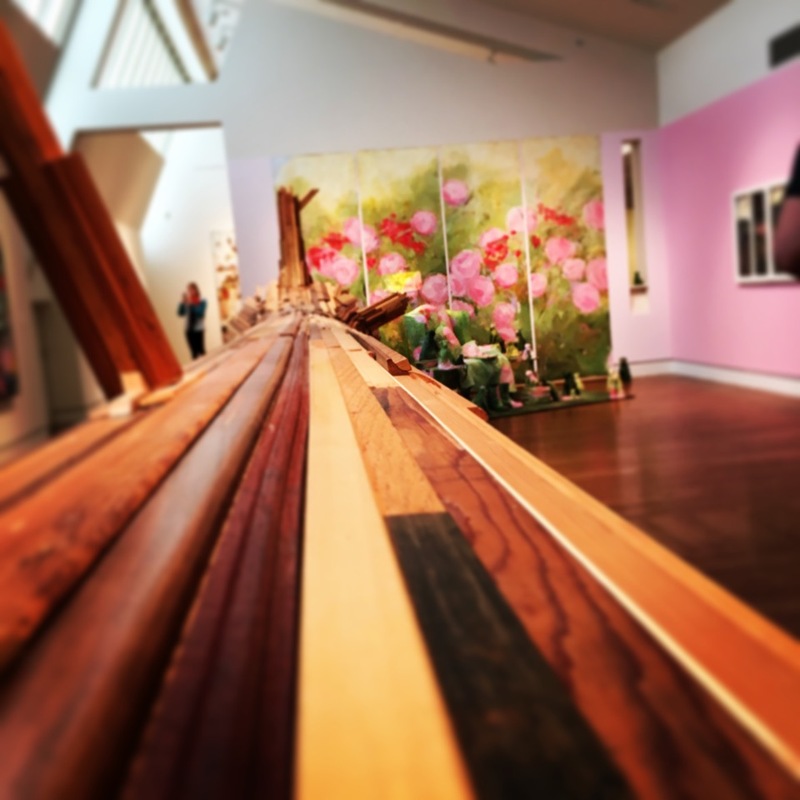 It was my first visit to the Portland Art Museum and I thought it was both user friendly and a nice size. There was lots to see without it being too overwhelming. 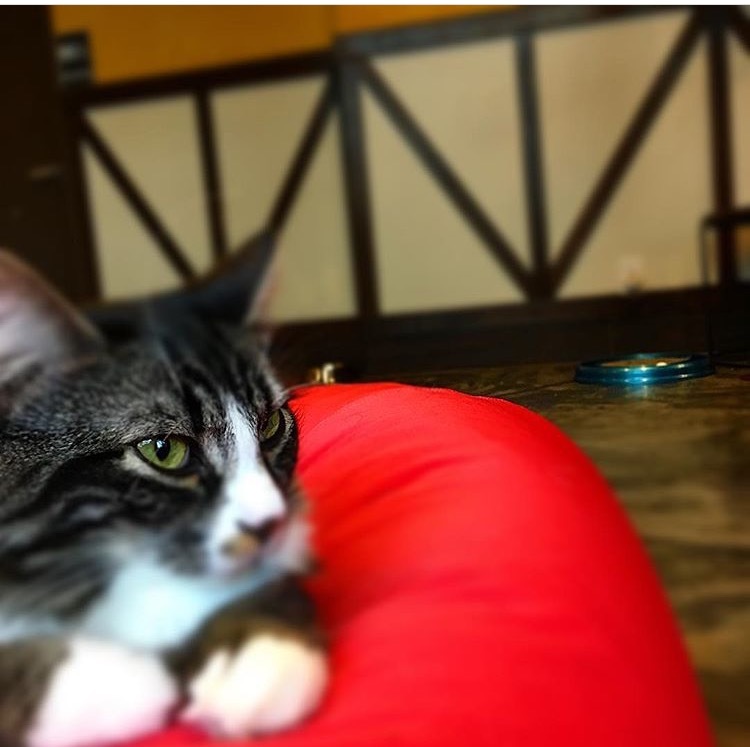 Some of the students visited Seattle’s Meowtropolitan, a Japanese-style cat cafe. I’m allergic to cats but was interested in their take. They really enjoyed it, and seemed to think it was quite a bit of fun for the price point! 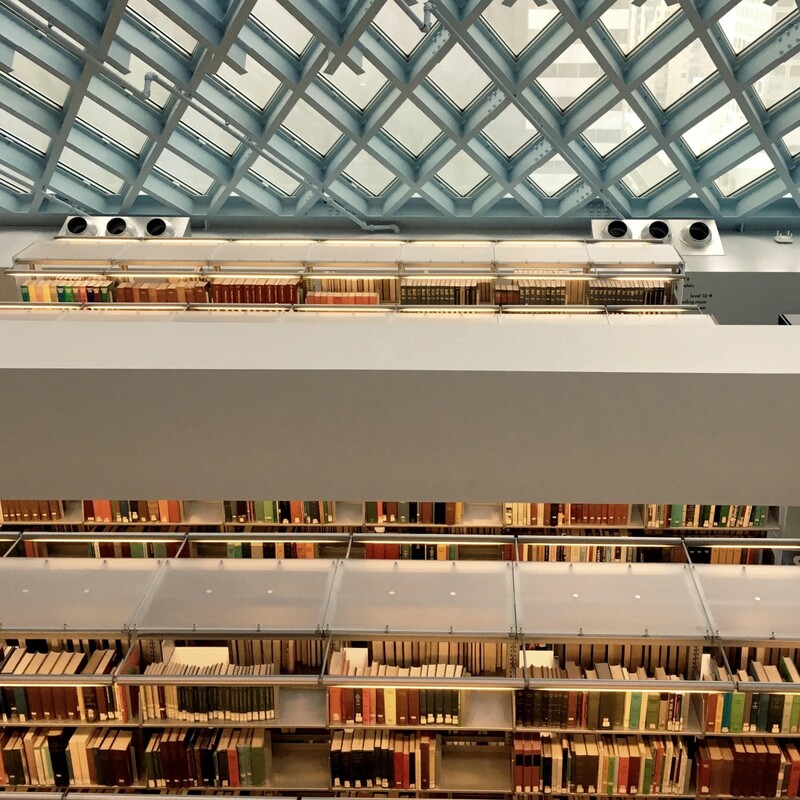 I was impressed by the student’s genuine appreciation for the post-modern architecture of the the Seattle Central Library. They made me remember just how cool the Rem Koolhas and Joshua Ramus-designed building is. 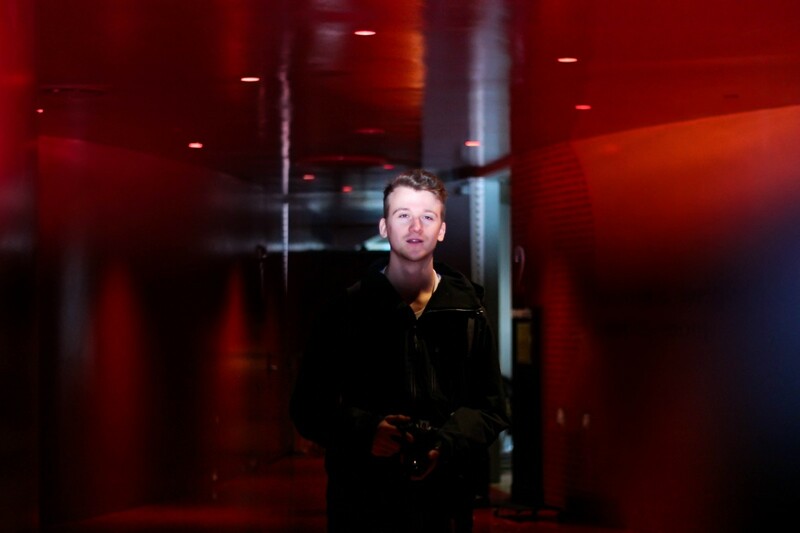 Seattle’s Central Library is also a great location to take photographs and the kids got some eye catching shots. The students impressed me with their keen interest in the Pacific Northwest, their manners and the general lack of drama. Travelers have always been de facto ambassadors, and this group certainly made University High School look good. Spending a week with these kids strengthened my belief that travel is great education. It forces you out of your comfort zone, makes you to think on your feet and switches up your perspective. 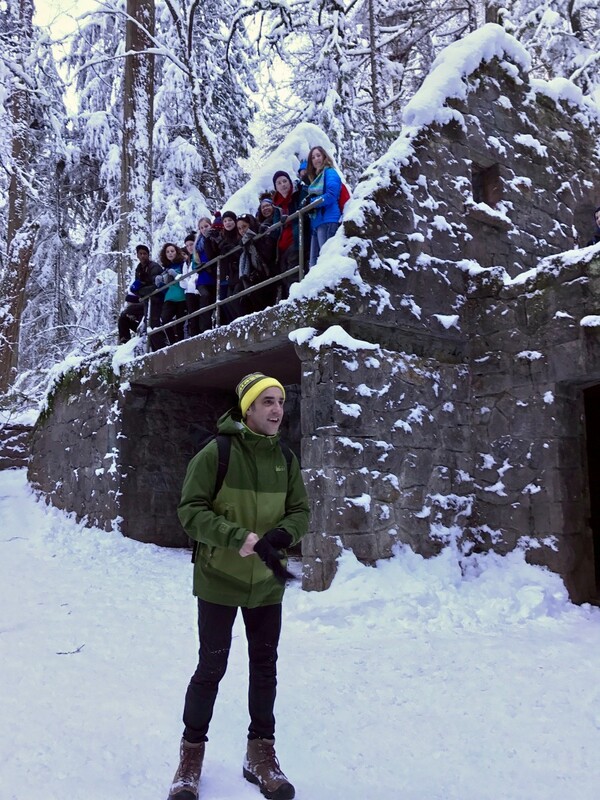 It was fun being able to share the experience of exploring the Pacific Northwest with these students. Their enthusiasm and curiosity was contagious. I did not just learn from the students. Wes, Tasha, and Maggie are passionate educators who are dedicated to helping young minds develop. They worked hard to plan this trip and make it a positive experience for all involved. I hope these students know how lucky they are to have such fantastic and accessible teachers. The whole J-Term concept is a really cool idea. Where were classes like this when I was in high school? I have to confess I missed this group once they left Seattle. Hopefully some of them with return to visit. I promise Portland is an entirely different experience without all the snow.